If you have to shoot on a bright sunny afternoon (unlikely this summer in the UK), watch this video for some great tips. Taking portraits outdoors without the use of expensive speedlights and strobes doesn’t have to be intimidating; even when you’re shooting in the harsh afternoon sun. As Pye from SLRLounge explains in the following video, you can get professional results using only a $30 reflector and a DSLR with a 50mm prime lens. Pye shot on a Canon 5D Mark II, but ensures us that great shots can be taken on much cheaper cameras, too. Take a look for more helpful tips on using reflectors to balance bright sunlight. 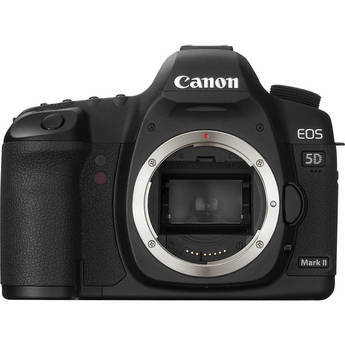 The Canon EOS 5D Mark II (Body Only) improves upon the EOS 5D by increasing the resolution by about 40% to 21.1 megapixels and adds a Live View feature that allows users to preview shots on the camera's high resolution 3.0" LCD display. It even incorporates the ability to record full motion HD Video with sound, so you can capture the action as well as superb images.